Multistrada Enduro is a big deal – in lots of ways. My colleague, Liam Marsden, burst out laughing as we clapped eyes on the Multistrada for the first time. “You’re going to need a stool to get on that,” he said. My jaw dropped. Forget a stool, I’m going to need a stepladder. At 5ft 7in I’m ever-so-slightly vertically challenged, but this will require a feat of climbing ingenuity. It towers above everything else in the car park; bikes, cars, people... and trees! I clambered aboard, sank into the scooped seat and lost myself behind the huge 30-litre tank and high bars. I was even more red-faced after learning Ducati had already fitted a lower seat option (£191.10) for me, which drops it from 870mm to 850mm. Heaving it up, and then flicking up the sidestand took practice and a lot of weight on my right foot. But once upright it’s well balanced; roll away and the weight dissolves. Although, pulling up at traffic lights without proper concentration has nearly caught me out a couple of times. Leaving MCN HQ and heading straight for my 100-mile motorway commute home melted all of my initial concerns. My eyes widened as the blisteringly quick motor lit up the A1. 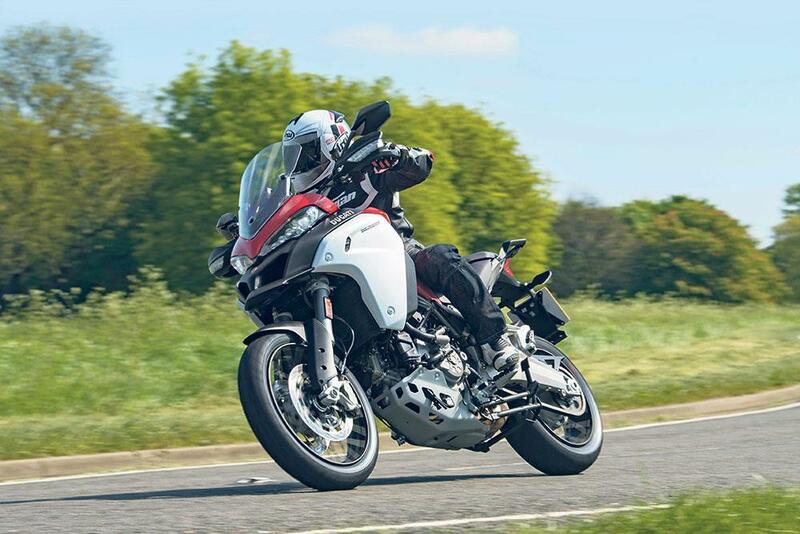 It’s a hugely impressive long-distance monster thanks to touring touches like an adjustable screen, exceptional wind protection from the chunky fuel tank and hand guards, cruise control and riding modes. The only let down is that it comes with a heated grips button but no actual heated grips – they’re an optional extra (£212.50). I’d expect them to be included on a near-£17k bike. Once I got the Enduro home and took her out for a weekend ride along my favourite backroads, I fell head over heels in love. 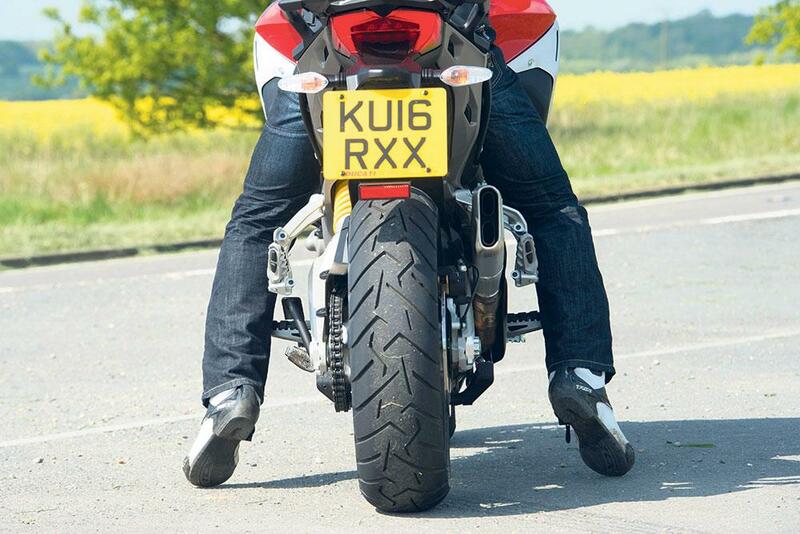 Switch to sport mode and it’s simply ridiculous; the potent 160bhp on tap, oodles of torque, off-road cred, touring prowess, sleek exquisite Italian design and sublime semi-active suspension make me fall in love with motorcycling all over again. It’s plastered a child-like grin on my face in permanent marker and I’m looking forward to a brilliant year. Could this be Britain’s perfect road bike?